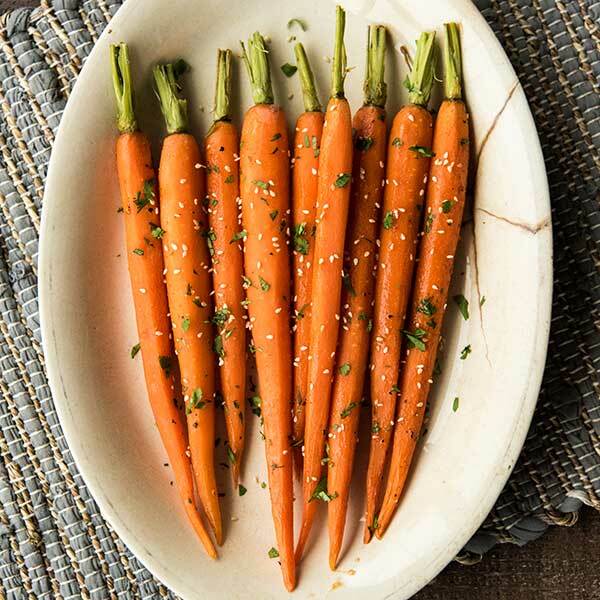 Carrots are the perfect go-to side dish. 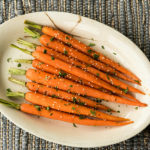 These roasted carrots are the perfect addition to family meal or special holiday. They’ve got a little kick to them thanks to the sriracha in the glaze. Top with sesame seeds and fresh cilantro and serve them whole for a beautiful presentation. Place carrots in baking pan. Drizzle with olive oil and sprinkle with ¼ teaspoon salt and pepper, turn to coat. Bake carrots 15 to 20 minutes or until carrots can be pricked with a fork. Meanwhile, in a small bowl, combine honey, sriracha sauce and remaining salt. Drizzle over carrots and cook 10 to 15 minutes longer or until carrots are tender. prinkle with chopped cilantro and toasted sesame seeds.